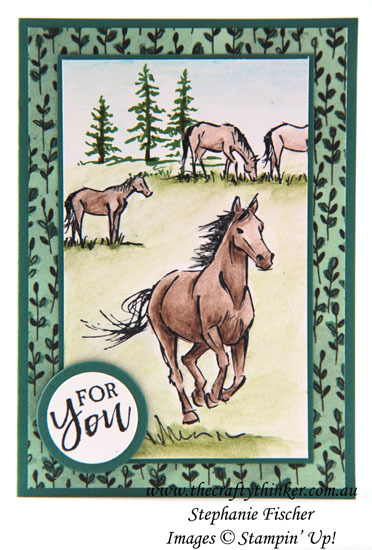 There are a few people in my life who love horses and so I felt compelled to purchase this stamp set when I saw it! This card will be for one of my nieces. I coloured this piece with watercolour pencils and an Aquapainter and layered it onto my card with Tranquil Tide cardstock and Share What You Love Specialty Designer Series Paper.